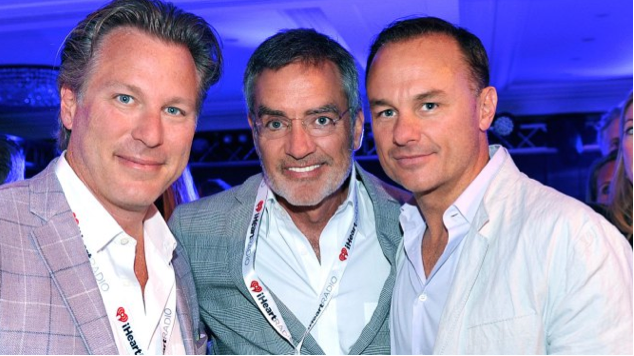 Media pioneer Levinsohn takes key role with male-focused media network, founded by longtime business partner Scout CEO James Heckman and Pilot Group. Executive team filled with heavyweights from Yahoo!, AOL, MSN, Google, Amazon, NFL and News Corp.
New York, NY (July 31, 2014)  Scout Media announced today that Ross Levinsohn will join its board and serve as Executive Chairman. The announcement was made by CEO James Heckman, who said Levinsohn will help lead the company¹s strategic expansion, and work closely with management on key operational initiatives. Today¹s announcement marks the fourth venture the two media executives have partnered on together. Scout also announced today its executive team, which includes four former media CEOs and two Presidents, who will manage the Networks scheduled launch this September. Levinsohn most recently served as CEO of Guggenheim Digital Media, and previously was Global Media head and interim CEO of Yahoo!, President of Fox Interactive, General Manager Alta Vista, Vice President of Programming for CBSSportsline and Director of Production and Marketing Enterprises for HBO. Heckman was Levinsohn¹s strategic chief at both Yahoo! and Fox, and they worked together on several other digital media ventures, such as Fox Sports.com, Rivals and Scout. Heckman and Pilot recently acquired sports media network and tech platform Scout.com from Fox/News Corp. and merged Scout with North American Membership Group, which operates several leading male-centric media properties ­ expected to launch as a single network this September. Scout will debut with over $100 million in assets, consisting of premium, all-owned, highly engaging content and commerce properties for men; with over 300 web properties, 21 million customers, three television shows, 38 magazines and a robust commerce enterprise. ³There are a number of reasons I’m excited to be a part of this venture,² says Levinsohn. ³First, James and Bob are great innovators in the media industry; Second, the team we¹ve assembled is proven, loyal and can deliver market-leading results; and finally, the male-focused opportunity Scout is focused on is underserved in the market and ripe for expansion. James and I have been great partners for almost a decade, and we work through key issues on a day-to-day basis. This can be a big company quickly. Scout¹s appointments include executives, content creators, engineers and product pioneers from Yahoo!, AOL, MSN, Google, Amazon, NFL and News Corp, all with deep ties to Heckman, Levinsohn and Pittman. CEO, Founder and Director, James Heckman, previously served as Head of Global Media Strategy for Yahoo!, leading all significant transactions and revenue strategy under Levinsohn; held the same role as Chief Strategy Officer at FOX Digital/Myspace, and architected the market-changing $900 million social media ad alliance between Google and Myspace; Founder/CEO of 5to1 (sold to Yahoo! ), Founder/CEO of Scout.com (sold to Fox), Founder and CEO of Rivals.com (sold to Yahoo!) and President of NFL Exclusive, official publication for all NFL teams. .
Chief Operating Officer, Mark Stieglitz, held senior roles in both the business and the product divisions at Yahoo!, shortly after their acquisition of 5to1, where he was co-founder and COO. Previously, he partnered with Heckman on the landmark Google/MySpace ad venture, and before that was GM of the highly successful video gaming network, IGN, which sold to Fox for $600 Million. Stieglitz began his career at IBM and then Oracle. Chief Technology Officer, Bill Sornsin, ran MSN¹s Core Technology team before joining Heckman, in 1999 as co-founder and CTO of Rivals.com. He was also co-founder and CTO/COO for Scout and served as VP Engineering and Operations at News Corp/Fox Interactive Media after Scout¹s 2005 acquisition. Sornsin heads a world-class technology team out of Scout¹s Seattle office, with talent assembled from the likes of Amazon, Google, Microsoft, Yahoo!, Zillow, Fox, Disney, Brightcove, ThePlatform and AT&T. Chief Strategy Officer, Steven Rindner, is a longtime colleague of Pittman, first as a lead dealmaker at AOL as SVP, Corporate development and more recently, was the key lead for Pittman¹s investment fund, Pilot Group, on the investment in male media properties that merged with Heckman¹s Scout.com. Rindner recently worked with private equity firm Louis Dreyfus and served as SVP, Strategic Alliances for Citigroup. Rindner leads all acquisitions and partnerships for the Scout.com media network roll-up. Chief Revenue Officer, Ben Madden, was most recently President of Maxim, where he previously served as Chief Revenue Officer. Madden joined Alpha Media Group (parent company of Maxim) from Media Networks, a division of Time Inc., where he served as the Vice President of Sales. Previously, Madden was Publisher at Reader¹s Digest, where he was the youngest publisher in the magazine¹s storied history. Madden ran sales at Smart Money and Online sales at Rodale after starting his career at Reebok. EVP, Programmatic and Media Partnerships, Ramsey McGrory, led sales at Right Media before running the company at Yahoo!, including oversight of all Yahoo!’s data relationships during Levinsohn¹s tenure. Most recently, he was CEO of AddThis, a leading content distribution and data company used by 14+ million publishers. He is a decorated Army veteran and active in The Clinton Foundation. Chief Product Officer and Architect, Ben Joldersma, with a career spanning Microsoft, Rivals.com, Scout.com, aQuantive, 5to1, Yahoo! (Principle Software Engineer), and Google (Sr. Software Engineer, Geo/Imagery), has developed a deep expertise in large-scale systems, rapid development and online product innovation. Senior Vice President of Content & Distribution, Mike Whitmore, most recently served as the Director of Video Operations at AOL Studios and for HuffPost Live. He is also the co-founder and CTO at NX Streaming, which provides best-in-class live streaming services to clients that include YouTube, NBC, Converse, The Bowery Presents and LoveLive. Senior Vice President of Marketing, Freddie Laker, has 18 years of experience as a business leader, creative strategist and marketer, working with global brands including Coca-Cola, Diageo, Unilever and Toyota. Formerly, he was the CEO at Guide; VP, Global Marketing Strategy, Sapient; and CEO, iChameleon. Laker¹s work in advertising has been recognized by every major global advertising awards show including the Cannes Lions, DA&D, SXSW, One Show, the CLIO awards, Addys, the Webbies, Effies and FWA. Editor in Chief, Dan Bova, former Chief Content Officer of Maxim, where he oversaw all print, digital, video and special project operations. Previously, he served as Editor in Chief of Stuff magazine, and was a segment producer at Jimmy Kimmel Live. Bova is a regular panelist on Fox News Channel’s Red Eye, and co-wrote the horror/comedy film Poultrygeist: Night of the Chicken Dead. Scout is a multi-channel, men-focused media network owned by Pilot Group, Bob Pittman¹s investment fund. Scout¹s proprietary content is produced by over 1,000 contributing experts and distributed over 300+ unique Web destinations, 40 print publications and three broadcast television shows. Scout content focuses on men¹s passion points: the NFL, fantasy sports, college football and basketball, high school recruiting, hunting, fishing, outdoors, military and history. Scout has a growing consumer base of over 21MM, and our members¹ passions make Scout a place where brands can speak to men in a brand-enhancing, premium environment.